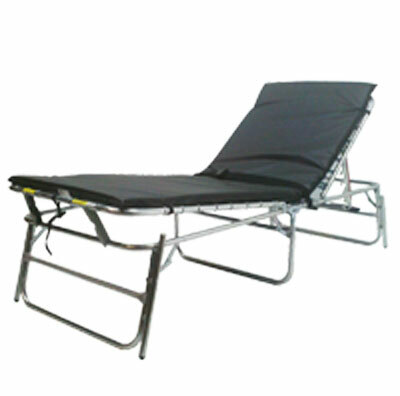 The Westcot FNC is a Functional Needs Cot ( also called a "Special Needs" cot) you need to support your emergency preparation and mitigation plans for disaster shelters and emergency first aid stations. 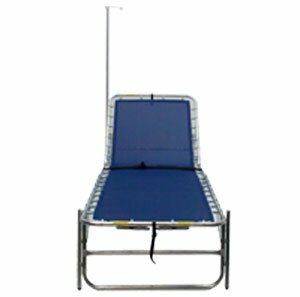 This medical cot is designed to be wheelchair transferable height. 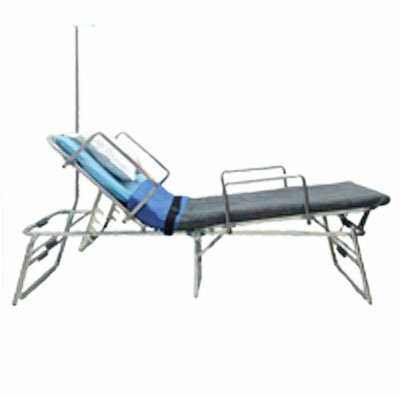 It offers safety and comfort for the patient while providing needed features for people with medical issues. 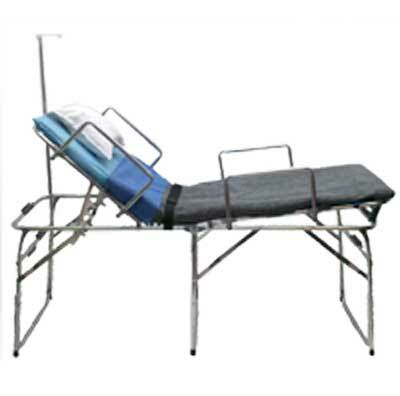 The FNC provides ease of use, convenient decontamination and predictable storage for the provider. 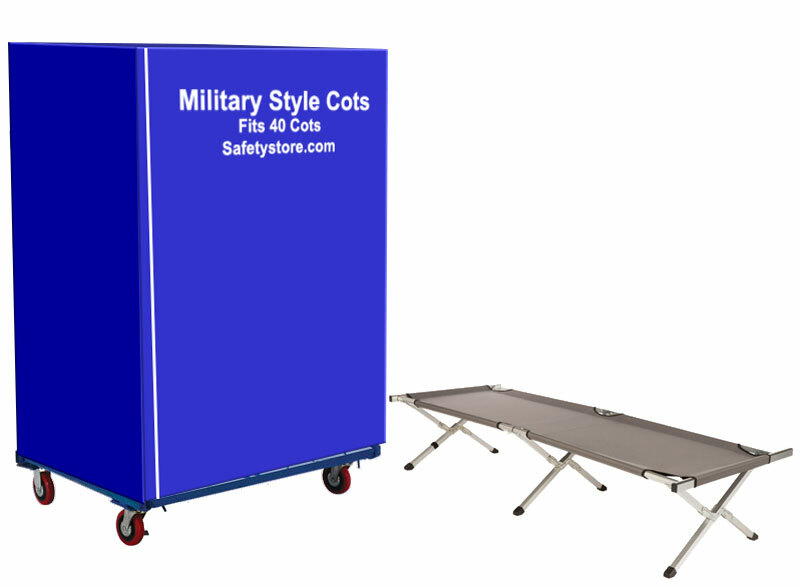 It is meant for reuse over extended periods of deployment at fixed or portable disaster shelters, portable hospitals, emergency first aid stations, and overflow for assisted living facilities and anywhere a fully functional cot is needed. 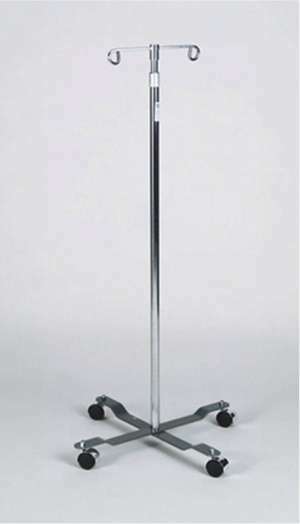 Also meets FEMA guidelines and is ADA compliant. 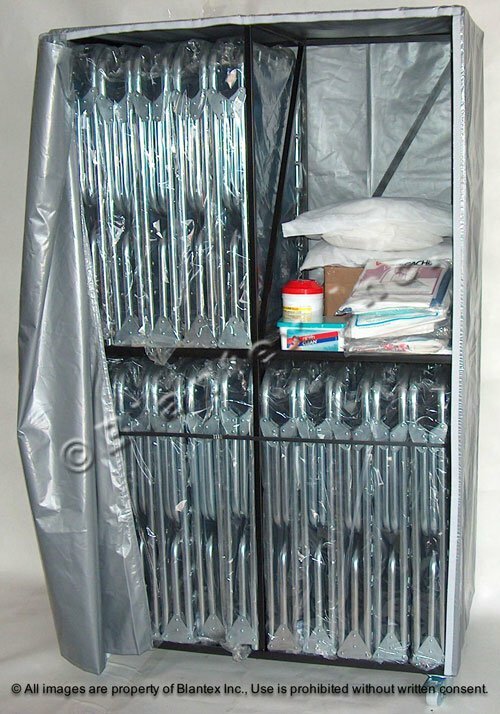 Five cots for a standard disaster shelter, plus 1 cot in the first aid station of the shelter. Understand that manufacturers don't have thousands (or hundreds of thousands) of cots and blankets sitting in warehouses waiting for the next disaster. Much of the disaster supplies they do have on-hand are already on contract for agencies that did plan for an emergency. B.) Is on a first come first serve basis - based upon payment. C.) Usually will be gone within 24 hours. Disaster contractors know this when they sign agency contracts, but still try to order only when the disaster strikes. Large disasters occur around the country almost every month. Manufacturers also can't ramp up to meet a large request and fabricate finished product in days. Our point is that your organization / agency should plan for, budget, order and locally store emergency supplies like disaster cots before a disaster strikes your community. . Ask us about how can help you prepare for a disaster and also how we can supply your needs during an event. 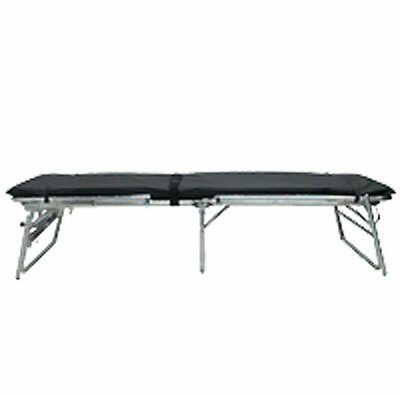 Spring and Deck Design 2"
Wheelchair Transferable Height - 18"
Folding Design for easy storage - 34" x 42" x 8"